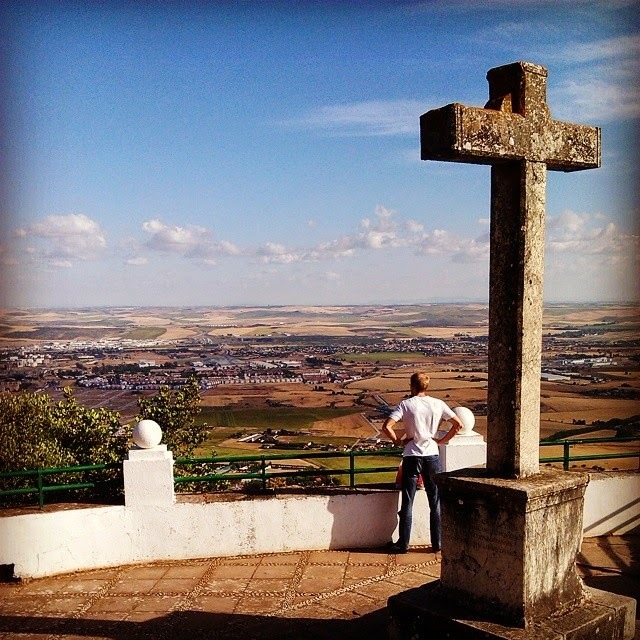 When we visited Córdoba the first time last October, our guides, Rafael and Salvador, pointed a white dot out for us on the hill behind the town and told us that there’s a great viewpoint in Las Ermitas. We didn´t have enough time then to visit it however on this occasion we came by car and took this opportunity to take the scenic drive to it. We paid the 1.5 euro entry fee then walked straight to the famous viewpoint. We found the huge statue of Christ (ok it wasn´t THAT hard to find it) and walked down the stairs in front of it. 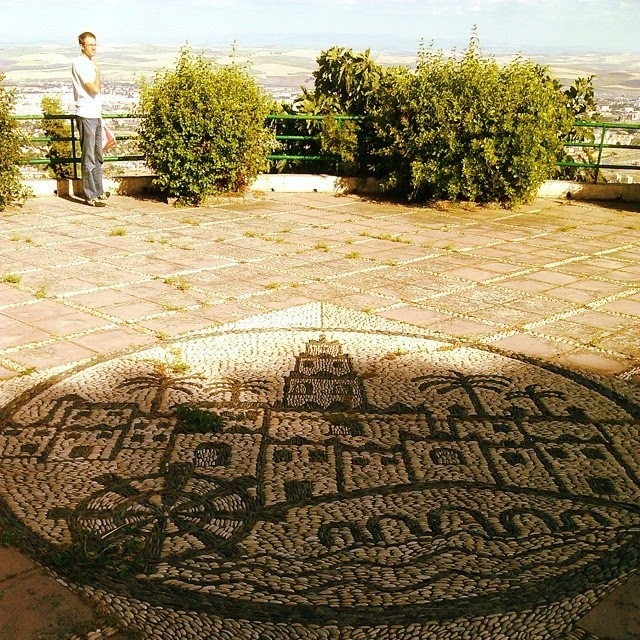 From a viewing platform you get an incredible view of the town of Córdoba and the surrounding areas. It´s just simply priceless and worth the trip up here. Have a seat in the stone throne to enjoy the view in comfort. The Hermitage (or Las Ermitas, as they are known) is a collection of 13 little cells built for Carmelite hermits who wanted to dedicate their lives to God. They were built at the beginning of the 18th century. Some of them are still inhabited however two of them are free to visit. Looking at those tiny little rooms and the wooden beds made me very sad for some reason. It was easy to imagine the lives of these monks who did nothing else here but praying, meditating and living in the barest austerity you can imagine. The Hermitage is less than 10 miles from the El Brillante neighbourhood. You can cover this distance by foot if you feel up for it. Only 10 km (logically 20km round trip), however the path is steep. On your way you will be rewarded with the lovely vistas of the city and the valley. Or you can drive up there using one of these three options: through the Palma Road(15 km); to the south, through the Carretera de Santa María de Trassierra (14 km); and north through the road Villaviciosa de Córdoba (19 km). Their paths are A-431 , CO-3304 , CO-3314 CP-021. For more information about the Hermitage check out their website here.